Earlier this year the successor to the hugely popular Raspberry Pi, the Raspberry Pi 2 was released. 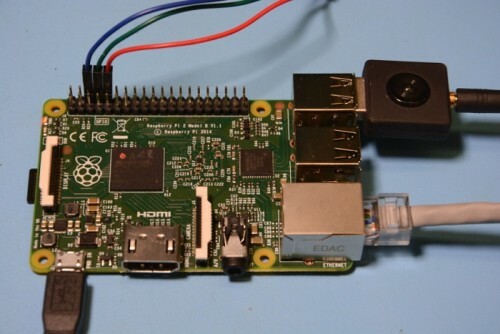 The Raspberry Pi 2 is a mini embedded computer that can run Linux. Over on the RS Design Spark website Andrew Back has posted a tutorial showing how he installed GNU Radio and RTL-SDR on the Raspberry Pi 2. He also shows that the Raspberry Pi 2 runs the CPU intensive GNU Radio software well, utilizing 70% CPU when running osmocom_fft, a GNU Radio based spectrum analyzer. Andrew also installs and tests the gr-air-modes GNU Radio program which is an ADS-B receiver, finding that it also performed well with low CPU utilization. Helpful and informative post about “GNU RADIO ON THE RASPBERRY PI 2”. I used this concept earlier but got an error. Now, after this article clear my all concept about this. Thanks for share a great info. Thanks for your article. It is really helpful for me to build gnuradio system using raspberry pi. I found that gnu radio needs much cpu powers to operate smoothly. Can we get more cpu powers for gnu radio by building raspberry pi cluster system? I heard that 5 nodes system can be build with 300 USD. I would like to hear your opinion on it. I could never get the kal to work with the rtl-sdr installation. Tried to install gnuradio. Couldn’t get lusb to run. Got the info from rtl_test. The dongle reports a RTL2838. Went to the clone step and github.com demands a password. Tried this with the Pi2 following all the steps and everything looked just fine. However it crashed hard running osmocom_fft after displaying the window. It indicated that it received an X window system error. Found some other comments and it will work. Follow the comments about changing the frame buffer. FYI I’m running this on Version 8 (Jessie) so it’s good for a bit. Even better – it’s not 70% CPU. It’s 70% of *one core*. The Pi 2 has four!